It happened more or less by accident; the people who made it happen were amateurs; and for the most part they still are. From his own Silicon Valley garage, author Bob Cringely puts PC bigshots and nerds on the spot, and tells their incredible true stories. Like the industry itself, the series is informative, funny and brash. Tim Paterson's development of 86-DOS largely from duplicating Gary Kildall's CP/M operating system. 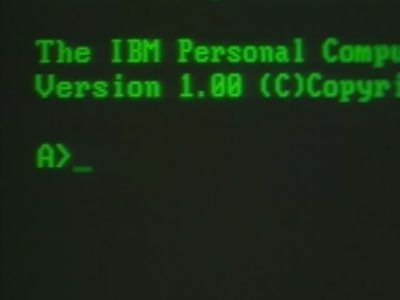 Microsoft purchased all rights to 86-DOS from Paterson's employer SCP for US$50,000 shortly before the release of the IBM PC. Microsoft's resulting MS-DOS was an operating system that could run on any 8086-family computer. Steve Jobs, having viewed a demonstration of Xerox's Star graphical user interface, developed a desktop manager for the Macintosh with an icon-based interface modeled on the Star. Cringely suggested that Xerox had the potential to be one of the key companies in the up and coming PC industry, had they managed to protect the intellectual property rights of Star GUI. Apple agreed to license parts of the Mac OS GUI to Microsoft who went on to develop Windows. Upon the release of Windows 2.0, Apple sued Microsoft in 1988 over the "look and feel" of the Mac OS. Apple lost the lawsuit in 1994, leaving Microsoft dominant in the operating system business. Steve Jobs had recruited Pepsi-Cola executive John Sculley to become CEO of Apple, saying to the latter "do you want to sell sugar water for the rest of your life or do you want to come with me and change the world?" The Apple Macintosh pioneered many of the features now standard in the PC, particularly ease of use. 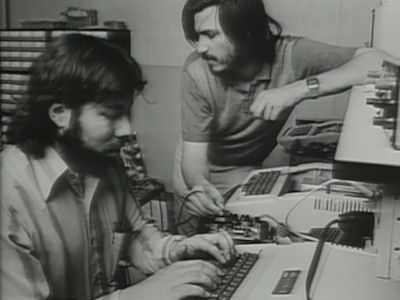 However, the Macintosh was considerable more expensive, so it was rapidly overtaken by the IBM PC, with some pundits not only saying that IBM had won, but also that Apple could potentially go out of business. Chris Espinosa described Sculley's ouster of Jobs saying "The grandiose plans of what Macintosh were going to be was just so far out of whack with the truth of what the product was doing and the truth of what the product was doing was not horrible it was salvageable but the gap between the two was just so unthinkable that somebody had to do something and that somebody was John Sculley". Compaq's successful reverse-engineering of the IBM PC, which led to many competitors producing IBM-clones that undercut IBM's own offering. While IBM was one of the key companies that fostered the growth of the PC industry and initially dominated it, by 1990 it had lost its lead. IBM's unsuccessful attempt to recapture a dominate share in the PC market with the PS/2 and OS/2, the latter being the successor to MS-DOS. The proprietary nature of the PS/2 and exclusivity of OS/2 was intended to drive sales of IBM's own hardware and made it difficult for other manufacturers of PC compatibles to compete. Microsoft had originally profited from the initial success of the IBM PC. It did even better with the proliferation of clones as IBM's own market share shrunk, so Microsoft saw no business sense in following IBM's lead. 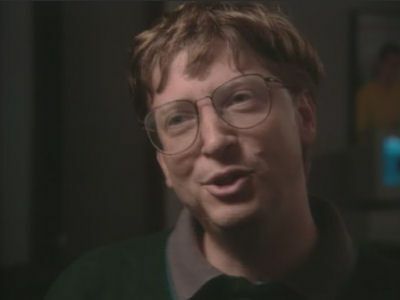 Microsoft saw more potential in developing Windows, a project they pursued parallel to their cooperating with IBM on OS/2, and Windows 3.0 proved to be a great success (along with MS-DOS) bundled with new PCs. This led to the split between the two titans, with Microsoft setting the standard for PCs, while IBM concentrated on its mainframe and services businesses.